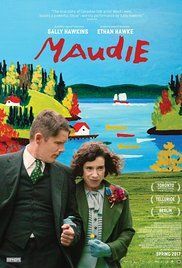 In Marshalltown, Nova Scotia, Maud Dowley is an arthritic woman with an Aunt Ida and brother Charles in the 1930s. Maud is shocked to learn that Charles has sold their family home, which their parents had left to him. In the meantime, she is berated by Ida about visiting the local nightclub. Maud had once been impregnated and gave birth, but Charles and Ida told her that the child was deformed and died. Read more on Wikipedia.